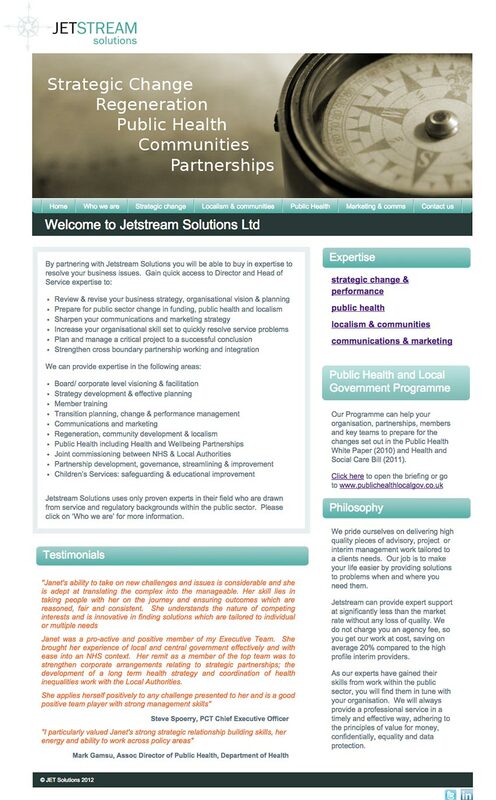 Jetstream Solutions is an independant organisation supporting the public sector. The brief was to create a website to promote the variety of partnership, strategy and management consultancy services supporting the public sector. "Steve took on board everything we required, his experience meant we got a site which was above and beyond what we imagined"